For the first time since she was elected to the state House in 2008, Juneau Republican Rep. Cathy Muñoz faces a general election challenge. 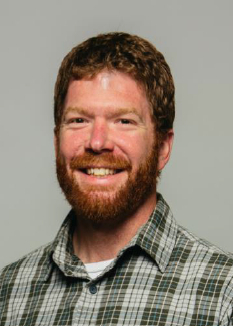 Democratic candidate George McGuan is a union electrician, who portrays himself as more working man than politician. 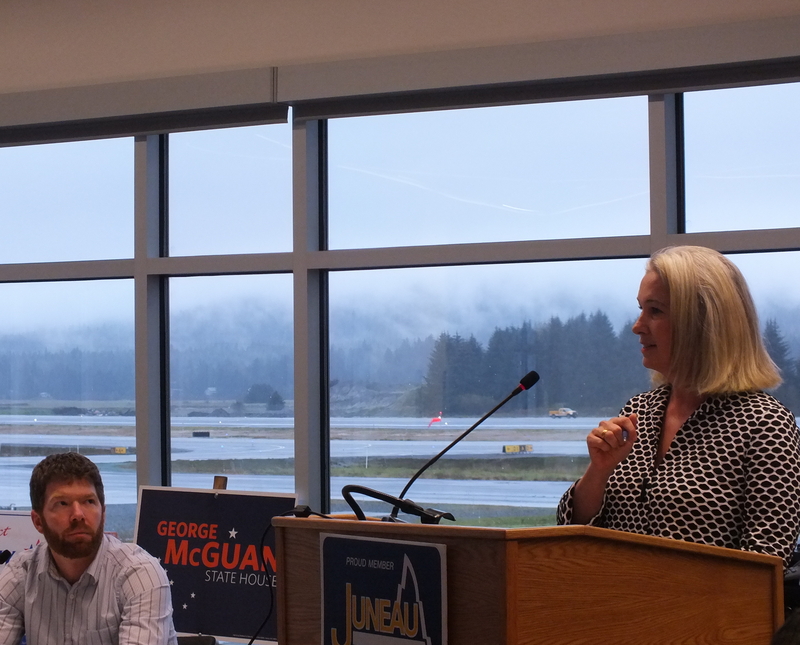 They’re vying to represent House District 34, which encompasses Juneau’s Mendenhall Valley and out the road. Cathy Muñoz is the third generation of her family to be involved in Alaska politics. Her grandparents, Thelma and Elton Engstrom Sr., were members of the territorial legislature in the 1940s and ‘50s. Her grandfather went on to serve in the state Senate, and her father, Elton Jr., was a legislator from 1965 to 1970. 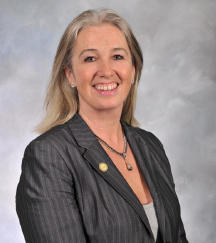 Muñoz served on the Juneau Assembly from 1995 to 2001, and has been a member of the Alaska House of Representatives since 2009. For the past two years she’s been the only Southeast Alaska representative on the House Finance Committee, which plays an important role in crafting state budgets. But Muñoz says she’s proud of more than just her political experience. She and her mother opened an art gallery in downtown Juneau that’s been in business for more than 20 years. Her husband, Juan, also manages a gallery, featuring works by her mother-in-law Rie Muñoz. While Muñoz comes from an old Juneau family, her opponent first arrived less than 10 years ago. George McGuan came to visit his brother, who was stationed in Juneau with the Coast Guard at time and still lives here today. McGuan says he fell in love with the town and decided to make it his home. This is McGuan’s first run for elected office and he’s still a bit reluctant to call himself a politician. He and his wife Alex – a teacher at Mendenhall River Community School – had their first child in September – a boy named Orion. It’s the first thing he talks about when you ask him why he’s running. He points to votes Muñoz cast in 2013 on bills to change the state’s oil tax system and roll back wastewater discharge rules for cruise ships. He also wasn’t happy with the amount of school funding lawmakers approved last legislative session. McGuan says he’d like to see the state’s school funding formula tied to inflation. “That would be ideal, and if possible we should do it, because it’s just getting it out there and making sure our school districts can start planning and they can be more efficient that way,” McGuan says. Muñoz defends the amount of school funding. She says, sure, it would be great to have more, but at some point lawmakers have to compromise. Muñoz also defends her oil tax vote. She originally voted against the new tax system, before voting yes on reconsideration when it was clear the measure would pass. McGuan is against the Juneau Access Project to extend the capital city’s main road north to a new ferry terminal at the Katzehin River. He says the project is too expensive and long-term maintenance costs are not included. Muñoz is pro-road, which she says will improve access to the capital city and provide economic and social benefits to all of northern Southeast. McGuan says he’s voting for independent candidate Bill Walker for governor. Muñoz is supporting the re-election of Gov. Sean Parnell. The general election is Nov. 4.